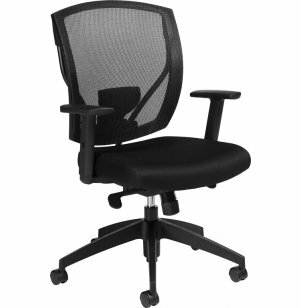 With an understated contemporary style and easy adjustments, this mesh office chair will keep you cool and comfy throughout the workday. Custom settings let you achieve an ideal ergonomic fit that promotes comfort and health. Pneumatic seat-height adjustment, multi-position tilt lock, forward tilt control and tilt-tension control let professionals of many sizes and builds get a perfect fit. Adjustable lumbar support and height-adjustable arms offer advanced support, which is especially important for anyone who works at a computer. This office chair is designed for many years of professional advancement and success. It is supported by a tough, scuff-resistant molded base with twin-wheel casters. The contoured mesh back and thickly-padded, waterfall-front mesh seat provide ventilation. 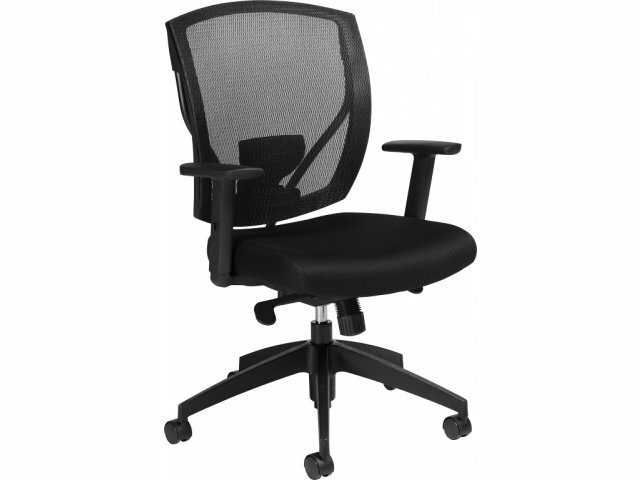 With so many great features and a style that will look great with almost any décor, this mesh task chair is a great choice for anyone who works in an office, from an entry-level intern to a high-powered executive. 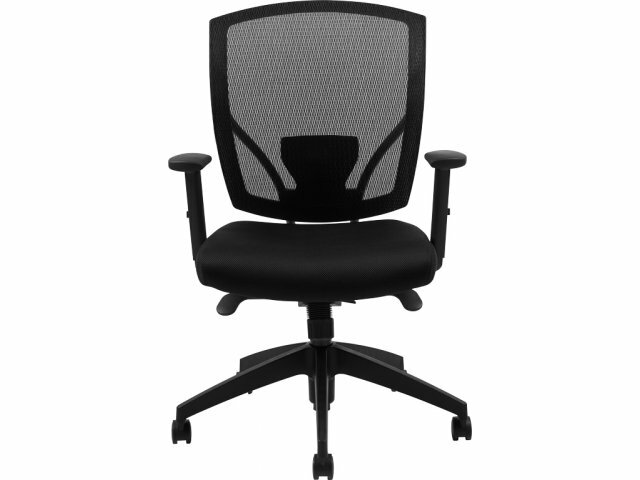 Healthy Airflow: Black mesh back and mesh fabric seat promote ventilation. 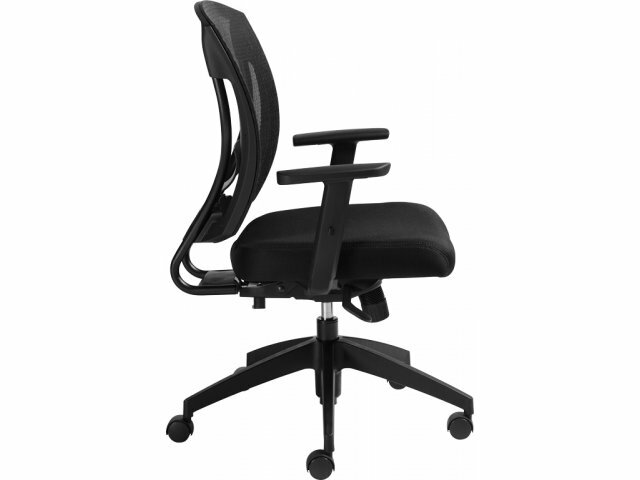 Ergonomic: Adjustable lumbar support, forward tilt control, pneumatic seat-height adjustment and tilt-tension adjustment offer a custom fit. Arm Support: Height-adjustable arms can be positioned exactly where you want them. Perfect Angle: Multiple-position tilt lock with anti kickback feature lets you maintain your ideal angle. Promotes Bloodflow: Waterfall-front seat facilitates healthy circulation. Sturdy Base: Stands on a scuff-resistant high-rise molded base with twin-wheel carpet casters.